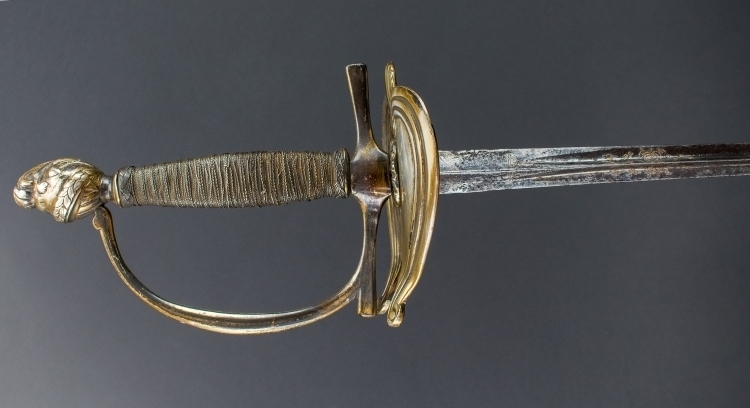 'I S & C' at the ricasso, regulation silver plated hilt with straight quillions, knuckle guard and pommel in the form of a visored helmet and wire bound grip. Some corrosion to the blade and thinning in the silver plate, no movement in the guard. 92cm total.